For the Community Foundation’s 25th Anniversary, our Jordan Award honorees have selected their Top 12 favorite Chester County nonprofits. To get involved, we encourage YOU to attend CCCF sponsored monthly programs, including volunteer opportunities, lectures, site visits, and events at each location. Each nonprofit also received a modest Gift to the Community sponsorship grant, generously donated by Jordan Award honorees at our 2018 Annual Meeting in October. Join us for a volunteer night with Chester County Food Bank. 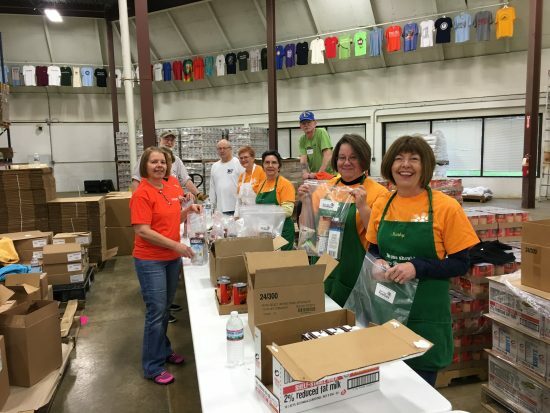 Volunteer jobs may include: packing Senior boxes, creating backpack food bags, and sorting donated non-perishables.